Standing on the Balcony of my impressive room, in a hotel built on a man-made island, staring across the water to the City lit up at night, imagining the amazing effort and spectacular dreams, vision and drive one man had which created a bustling hub city, internationally cultured and the meeting place for many all over the world. Most of all, I stood there and realised just how lucky I was, at 22 years old to be in Dubai where I would be spending the next 4 days peeking into the luxury that is on offer. I travelled to Dubai on a ‘work trip’ as I liked to call it – made it seem more important – or as my work called it, ‘An Educational’. These crop up every now and again, solely for people who have never been to Dubai before, allowing them to experience the popular holiday and business destination, build your knowledge and hopefully return back with a much better knowledge of the city. Yep, my work sent me and a couple other girls I worked with to Dubai for a couple of days, pretty much all expenses paid. One of the ‘perks’ of the job. We visited some of the ‘tourist’ sports of Dubai and filled our time visiting hotels (after hotel, after hotel) and squeezing in Bikini time when we could. My luck started in the Airport, where I had my first experience of being ‘upgraded’ to business class – this still doesn’t feel real, even typing it feels like a lie. – with Emirates Airlines. We made our way to the business class lounge – which has some delicious chicken curry by the way – where we excitedly chatted and drank champagne (yep, you can hate me now) while we waited for our flight. Having the luxury of a Lay (almost) flat-bed was a godsend (I can never sleep on planes) but was even more of a delight when I discovered the massage button. Safe to say I had the massage on pretty much the whole flight. Stepping off the plane in Dubai we were whisked away to our – first – hotel we would be staying in for the next two nights. The Kempinski Hotel & Residences Palm Jumeirah. The heat was overwhelming, and we were here in September! The minute you stepped outside of the safety of the Airports air-con it felt like the oven had just been switched to the highest temperature and you were trapped inside. This heat was going to take some getting used to – especially as we had just arrived from Scotland, where 12 Degrees is summer. While I was in Dubai we were fortunate enough to visit a lot of beautiful hotels. But after a while, they all kind of run into each other in a ‘memory blur’, so I’m not going to tell you about each and every hotel we ‘inspected’ while on our educational. – Although, if you really want to know, shoot me a comment! We also got a chance to see some of the most amazing attractions in Dubai and eat at some of the most wonderful spots in the city! One of the most iconic sites in Dubai, not to mention, it’s also the tallest manmade structure in the world. Everyone has the opportunity to view this building, from pretty much, wherever they are. Situated in the ‘Downtown’ area of Dubai, it is the view everyone wants from their hotel window. Whether you stand outside it and bend your neck – or lay down on the floor – trying to get a perfect view (or picture) of the Burj or take the ‘fast lift’ up to the 124th Floor to the viewing platform – which I highly recommend doing, so long as you know, aren’t scared of heights or suffer from Vertigo – this building (and the views you get up it) will take your breath away. Standing on an artificial man-made island off Jumeirah Beach, this is the most iconic hotel in Dubai. When most people think about Dubai, either the Burj Khalifa or the Burj Al Arab come into mind and for good reason. The Burj Al Arab is over-the-top-luxury often described as ‘the worlds only 7 star hotel’. Although this hotel is a tourist attraction from the outside, the inside is by reservation only, if you don’t have a reservation, you won’t make it onto the island. You can understand why this is such a popular hotel with Celebrities, it does also have a helipad at the top. We had an invitation allowing us to have a sneak peek and a dinner! My expectations were high. The inside of the hotel is decorated, well, massively over the top. Lots of bold reds, golds, blues and yellows. This is really a special taste – kinda like Marmite, you either love it or hate it. 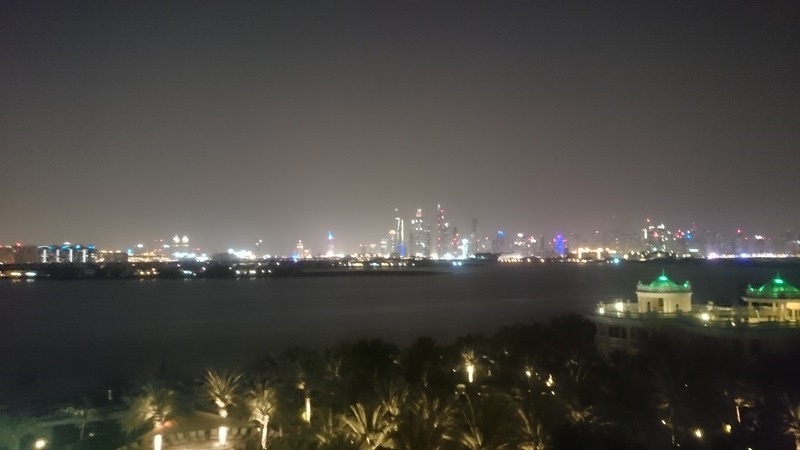 We were lucky enough to have a ‘hosted’ dinner at the Burj, which was fantastic – so much food, the way to my heart really – and probably, the second best (dare I say) meal I had in Dubai. Although, nothing could beat the setting. Ok. So this is literally, the worlds biggest shopping mall and (in my opinion) the best place on Earth for things to do inside – and it has air-con, enough said. – if you are bored with laying on the beach or ran out of ‘sightseeing’ activities, get down here! So I could give you endless list of ‘things to do in the mall’ but instead here’s what I did in the worlds biggest mall – other than shopping and eating. Dubai’s Aquarium and underwater Zoo Famous for having the one of the worlds biggest view panels into the amazing aquarium home to numerous tropical fish, some amazing sharks and plant life. This is free for people to stare and gawk at while they take a break from shopping, or you can pay a little (or a lot, depending on what you want to do) to go into the walk-through tunnel to view the beautiful animals from an ‘inside’ perspective. Then head on into the Underwater Zoo and get up close and personal with friendly and feared marine life or opt to pet the more friendly and social of those at the rock pools. – I could have stayed here all day, I love Aquariums and sharks. KidZania Ok, these things seem to be popping up all over the world at the moment and for good reason, they make me want to be a 6-year-old again! Normally, Adults aren’t allowed this is, as the name suggests, pretty much a kid only zone but we snuck a peek. Kids basically get to bring make belief to life, they get jobs, earn money, can spend that money and live like an adult but kid-size. It’s the cutest thing and great for Adults who can leave their kids here while they shop, knowing they are safe and having a ball. The SEGA Republic Need to fulfil your inner adrenalin junkie but don’t have the time – or money – to jump out a plane or off a building? Head to the theme park inside the mall which has some pretty wicked rides! The Mall is open until 1am most days, so this is a great activity for any time of the day, it isn’t always busy! This theme park has Rollercoasters, Rides throwing you upside down, the tame options and games (you know what I mean) and some awesome virtual experiences. Get down here! This is where I had the best dinner in Dubai and the best time ordering it. ‘Frevo’ is a Brazilian Restaurant in the Fairmont on the Palm and I would recommend it to anyone coming to Dubai. The meat is served by massive skewers by – very funny – waiters at the table, you control when you order (or want a ‘refill’) by pressing a light up button(?) on the table. This place is a food lovers dream. The waiters want you to eat more, honestly, even when your full or say no they will ask ‘are you sure?’ or ‘okay, but just little, this is amazing’. Oh, and by the way, the Chocolate Sharing table at the end, honestly, the best desert. Make room for it. Built inside a 30 acre man-made lake, this choreographed fountain creation is, of course, the largest in the world and is truly beautiful. The fountains will ‘dance’ to a range of Classical Music while shooting water up 500ft in the air. This happens periodically over the course of the day and throughout the night until around 11pm. For a romantic experience, head over to watch the performance after dark, when the fountains are lit up, the sky is dark and the city is illuminated. – Sadly, we only got to see the performance during the day, still beautiful but not as spectacular or romantic. This is awesome. Flying across Giant Sand-dunes in the middle of the desert in a small jeep, while shouting ‘faster, faster’ between screams and laughter at the driver – who is, by now, probably deaf. Best to do just before the Sunsets so you can stop at the top of a massive Dune and get some beautiful pictures in the dusk over the dunes – and some selfies, of course – before heading on to the Bedouins camp for a wonderful buffet dinner and performance show including traditional dance and belly dancing, with the option to get decorated in Henna – which I took full advantage of. This was an awesome experience, really fun and a nice change of pace to be out of the city for a day! Everyone – with a steel stomach and a sense of adventure – should give this a shot! Built directly next to the iconic, Atlantis on The Palm, this water park is a must do for anyone travelling to Dubai and has a day to kill. This Aqua-park literally has something for everyone from Lazy Rivers, rides taking you through Shark infested waters to the ‘Leap of Faith’. This water park will keep you busy all day, I absolutely loved it! Sadly I did not work up the courage to do the Leap of Faith – everyone else kept talking me out of it – when I go back, I would definitely do it. Once you are done with the Water park, there are plenty of Restaurants or more activities! Such as the wicked Atlantean Zip Line, Aquarium visits (yes, another one) where you can do Ray Feeding and Shark visits! Why would you not stop by? This Trip to Dubai was a once in a lifetime experience, if I was to have travelled to Dubai I wouldn’t have experienced some of the amazing places I did, have the same experiences or have a peak into the extreme luxury that some people experience easily. It was an eye opener. But what it made me realise the most, how uncomfortable I am with it all. Luxury is not for me – just yet. The city as a whole is incredible, such an international hub, filled with people from all over the world. You can see the attraction and why people end up living here, whether it’s temporary or permanent. If I was to return to Dubai I think it would be as a ‘stopover’ on the way to some place else. It’s not a city I would holiday for more than a couple of days, but it is definitely somewhere everyone should tick off their list! Thank you 🙂 Dubai was beautiful in its own way! I hope you get to visit one day! Hi, I’m Michelle Dela Cerna currently based here in Dubai. I would like to say thank you for sharing your beautiful story and some thoughts of Amazing Dubai , very detailed and well written! I would like to commend the Author of this Blog for sharing us an interesting idea. Keep it up a good job!! best blog.. and nice information..
pictures and information shared good work. Hello…. nice thoughts that you are shared.. i am very happy to hear from you.. nice words and nice articles about concern topic.